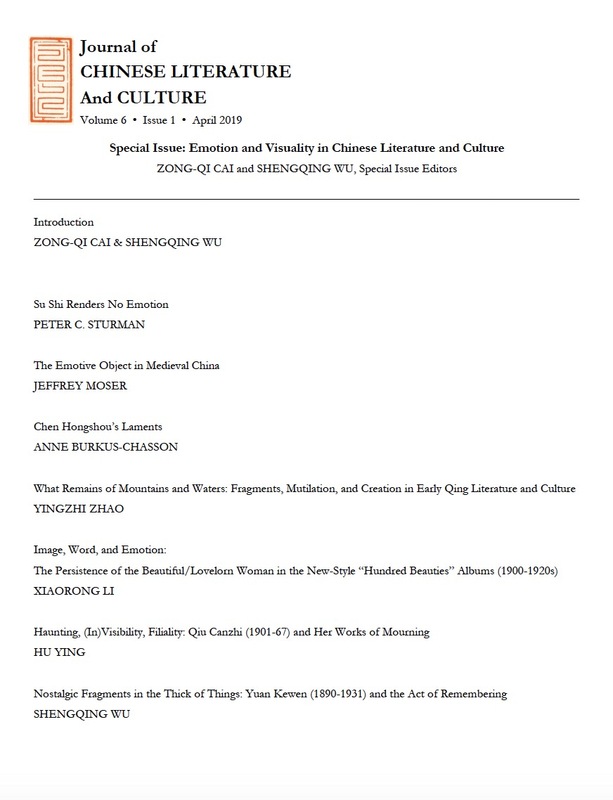 We are pleased to report that Journal of Chinese Literature and Culture (JCLC) 6.1, a special themed issue entitled “Emotion and Visuality in Chinese Literature and Culture” edited by Professor Zong-qi Cai and Professor Shengqing Wu, has gone through the review and editing processes and is now in press. It is scheduled to come out in April 2019. Below is its table of contents (click the image for details).